If you wake up with little bite marks, or feel itchy whenever you go to bed, check under your bed sheets. An army of bed bugs may infest your mattress or furniture. Don’t let the bed bugs bite. Take action and remove them with Smitter Pest Control’s bed bug exterminators. 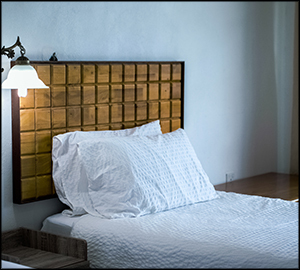 As warm-blooded animals, bed bugs seek and thrive in warm places like your mattress. When you first find bed bugs hiding in your furniture, throwing out the furniture sounds like the best idea. However, even with the furniture gone bed bugs often still lurk within your home, ready to infest the next piece of furniture. Bed bugs mature in around 35 days, and then live for around seven to twelve months. In that time their numbers multiply exponentially, as female bed bugs produce around 300 spawns from a single pregnancy. For a sure full extermination of the invasive colony, reach out to a professional Grand Rapids exterminator. Although not known as disease carriers, bed bugs trigger severe reactions to those at risk of allergies. Their bites tend to trigger hives, rashes and asthma. 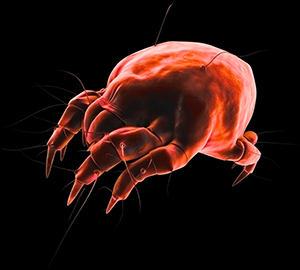 Even those who don’t suffer from allergic reactions still awaken with itchy red skin from the bed bug’s saliva in their bite. Scratching these bites tend to cause infections, so try not to itch. Although a DIY bed bug removal sounds like a good idea, a full extermination guarantees that the pesky invaders won’t come back. Bed bugs require extra precautions to remove completely, and only an expert knows how to prevent another rise of bed bugs. Our state of the art extermination tools kill all of the pests within your home or office. In addition, we make it a point to locate any hidden groups of bed bugs that you didn’t yet know about, ensuring that they won’t pester you again. For more information on bed bug removal from the experts at Smitter Pest Control, please contact us here or call us directly at 616.245.7215.